Keyword Research Tool is Free! 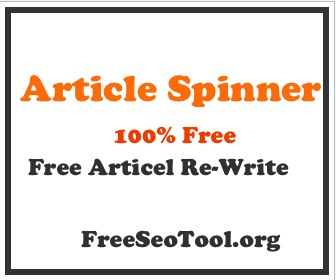 The Free Keyword Tool is free for guest users, providing free keyword research. You get 10 free keyword searches up-front.You can email the full free keywords list of keyword suggestions to yourself for free. Expert keyword research - free! The keyword suggestion tool is a perfect alternate to the keyword planned tool. With the help of this incredible SEO tool you can easily get a detailed list of queries made related to the keyword that you want to optimize. Let us try to explore more about this tool and why it is important. offered by us is based on simple function. All you need to do is to enter the keyword that you are planning to optimize and as soon as you hit enter button, you will be presented with a detailed list of related keywords. For example, when you enter iPhone 7 into the “enter your keyword” box and press submit, you will get a list with different keyword options that are related to iPhone 7 and are highly searched. You will get results such as “iPhone 7 Release Date”, iPhone 7 Apple”, “iPhone 7 Features” and many more such keyword options that you can incorporate on your website or blog so that it gets ranked higher in search engine rankings. is important because it becomes difficult to prepare a list of highly searched keywords manually. With the help of this tool, the list is automatically generated. Not only it helps in saving time but you can also expect accurate results. Error-free reporting has several benefits such as proper keyword targeting and successful optimization. All these benefits can reduce your time which is required for completing the SEO of a particular website. Hence, you can expect early and appreciable results. What is so special about keyword suggestion tools offered by FreeSeoTool.org? The foremost benefit of using our tool is that it gives error-free reports and is highly reliable. We are quite confident about the performance of this incredible SEO tool because it has been resigned after detailed research. A team of highly apt web developers have invested heavily for this tool their time and experience and as a result we came up with this amazing tool. We have kept it free for all. It means anybody can use this tool by simply logging on to our website. The results are instant leaving you with ample amount of time for your SEO work. This tool is ideal for online marketers, content creators as well as website owners who wish to target highly searched keywords for increasing their online sales. Try to use this tool once and you will definitely like its smooth operation and will feel happy when you get instant results for the query being made. If you really want to find what people are searching in that Google search box then this keyword suggestion tool is the best thing to use.